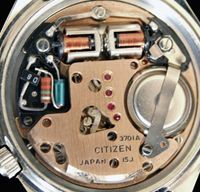 I’ll be publishing a page soon on the ‘Cosmotron’ line of electro-mechanical watches Citizen produced for about 10 years from 1966. 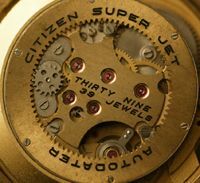 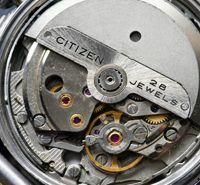 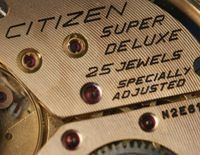 Citizen was the first Japanese manufacturer to market this interesting hybrid technology. 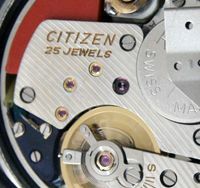 Using what was then new solid state circuitry and battery power, it proved to be short-lived once quartz made its appearance and now represents an interesting slice of watch history.